The Dee in a day. Thread: The Dee in a day. It was a mate, Chris Charlton, who first mentioned the idea to me some years ago. We both live in the Dee valley and with our other exploits it became a real desire to run the whole of the Dee in a single day. 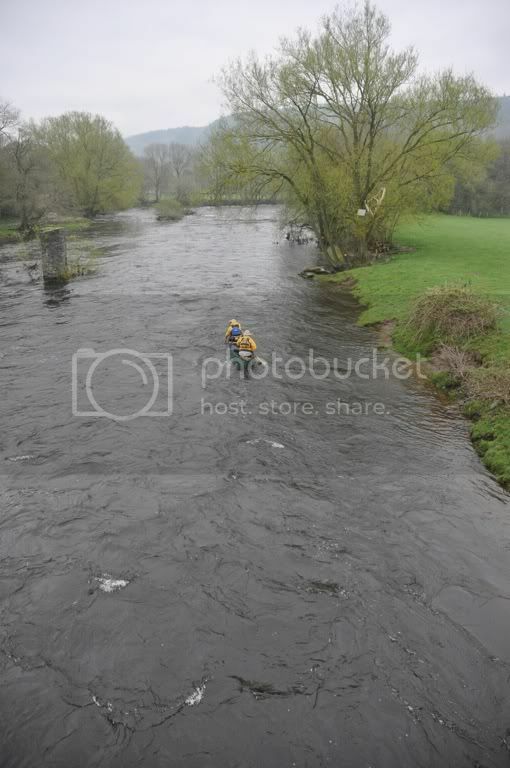 We needed a number of things to come together: enough water in the upper reaches but not too much for the difficult section around Llangollen, the bigger waves at Trevor and the weir at Overton; in addition enough daylight and Chris and I being free at the same time. On Monday I phoned Chris, 'Have you seen the water level? Are you free on Wednesday?' There was no need to mention what I had in mind. Chris has been a little under the weather and needed to make a decision on Tuesday. 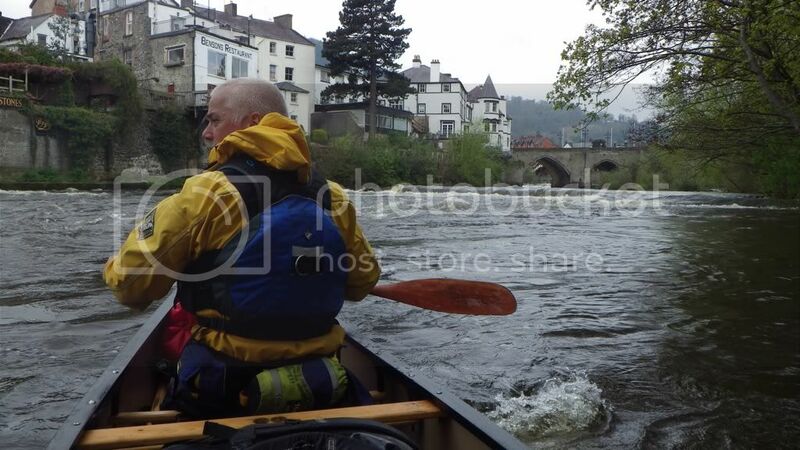 I was out on Bala Lake coaching on Tuesday so didn't get hold of Chris again until late in the afternoon. 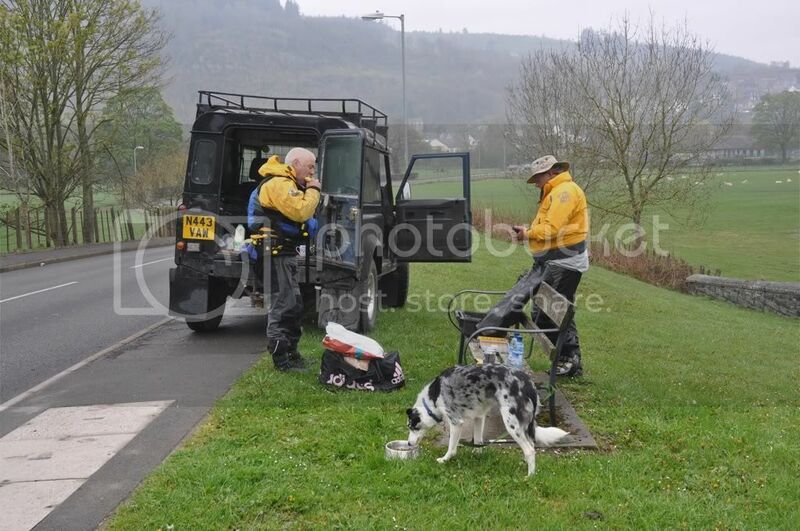 Not only was Chris on but he had organised the food and a mate John Hilton as support and backup. 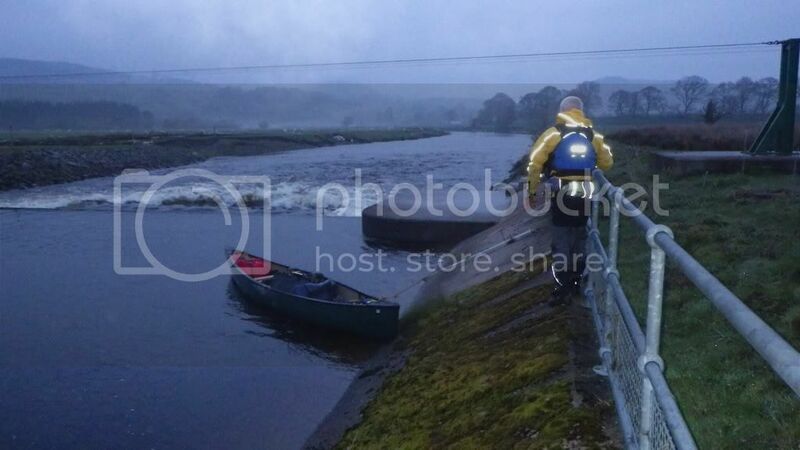 The sluices, just after leaving Llyn Tegid and the confluence with the Tryweryn, were a minor portage. The first weir was easily paddleable but it was steep and we didn't want a wetting or bailing at that time of the morning. The upper reaches are fairly straightforward but delightful. This is an area jealously guarded by the estates and fishermen but they were still in their beds. 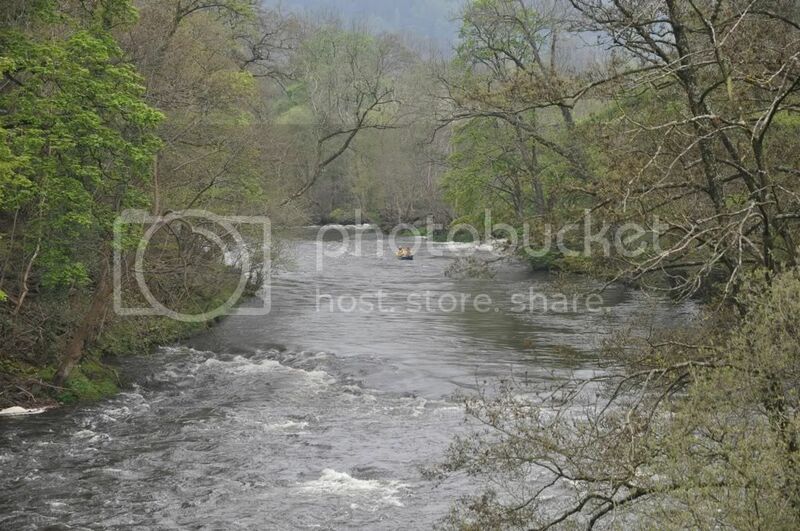 Between Llanderfel and Corwen, passing my village of Cynwyd, the river is relatively slow but there is a flow and we were cracking on. John was waiting for us on the bridge in Corwen. Brew was made and breakfast scoffed. A welcome leg stretch. A little more than needed on this break back into the current. 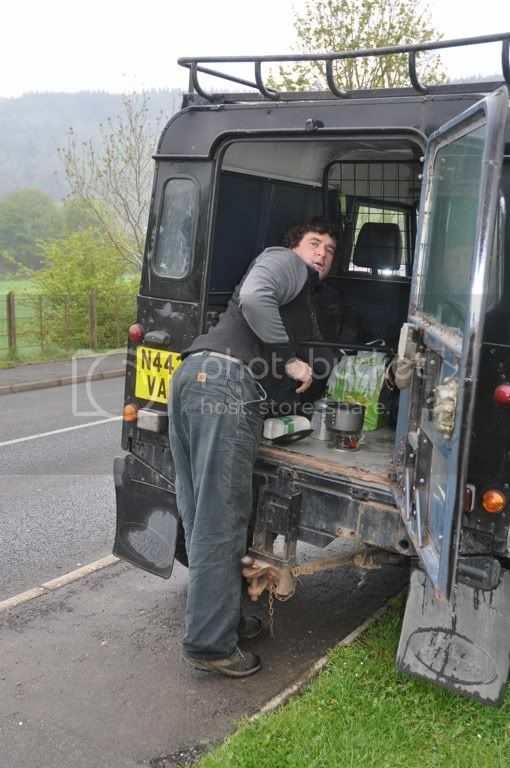 I now sure if Chris was performing for the camera or warming up for the challenges ahead? The current was now picking up. 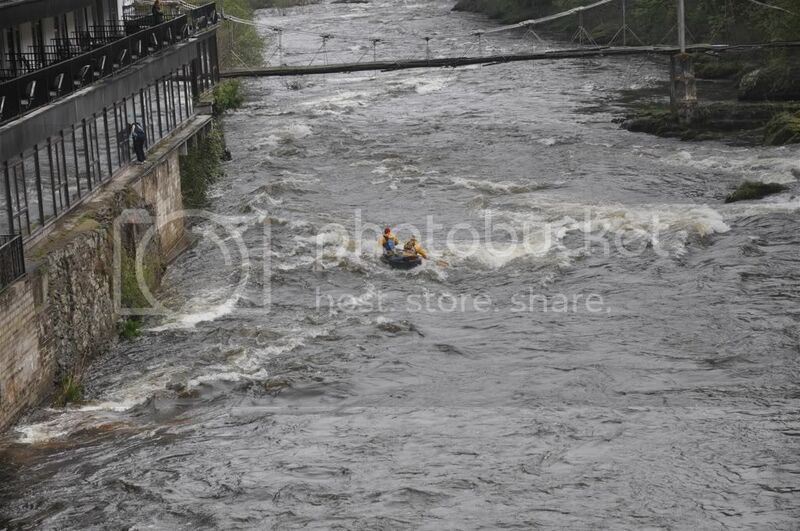 Very typical of the easier rapids on this section. Nice and bouncy and the main task to take dry lines or slow down to avoid shipping water. 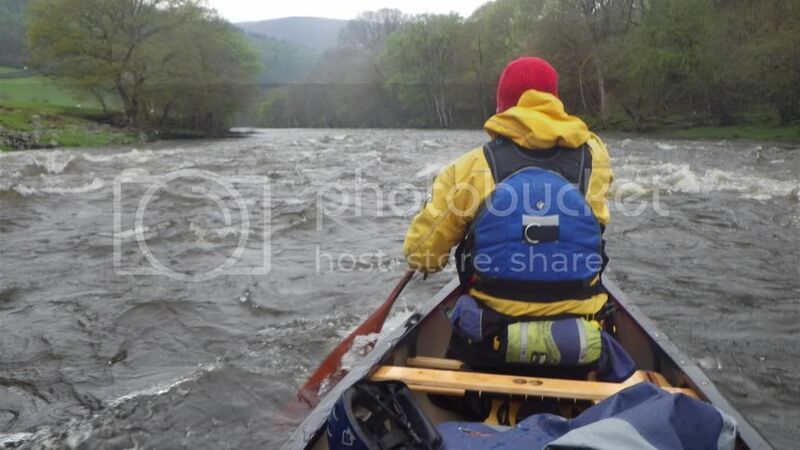 It is worth noting that we weren't taking photos on the bigger rapids, Chris reckoned I would be better employed using my paddle. 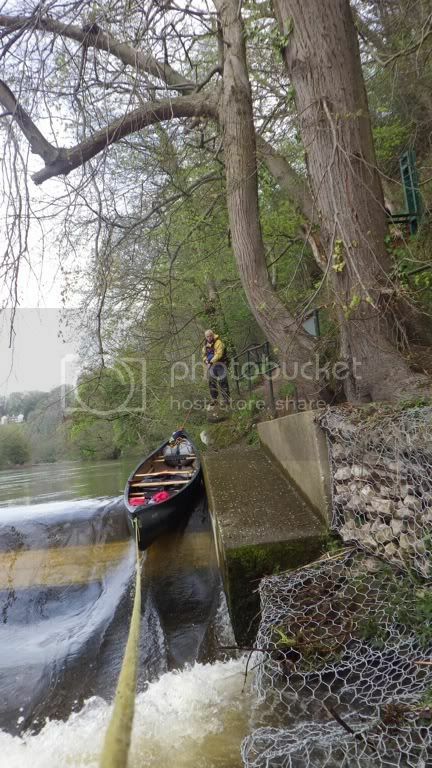 Just emerging from the tree after a fast and exciting run down the left had side of Horseshoe Falls, the feeder weir for the Llangollen Canal. Agreeing on the line down the Chain Bridge falls and the lead into the Serpent's Tail. The water was a lot bigger down at our level! The idea being to cut through the V and keep to the right of the main wave train. Down ahead of us the river narrows into the Tail. (Notice the muppet of a window cleaner on the ledge outside the hotel: no safety gear above a class 2/3 rapid). 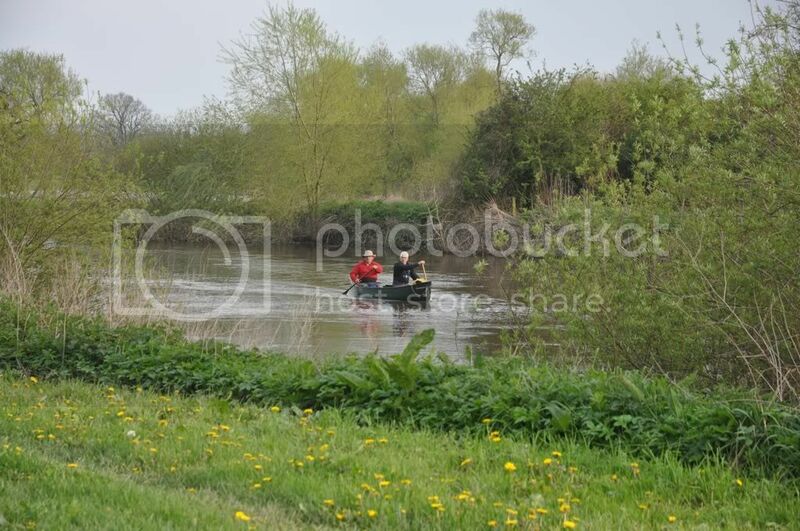 We lined the boat down a small side channel to avoid the large stopper that the rest of the river flows into. Then onwards through the Mile End Mill White Water site and a lack of photos. Some very big waves and some very committed moves to avoid the biggest stuff. This pic is of the nice bouncy stuff leading towards Town Falls. The main falls are Class 4 and we had no intention of running that (I have done it but it needs a long period of scouting and we didn't have the time). So it was onto the trolly for a quick run through town. Back on below the town and onwards. This was 10.50 and mile 31. We both felt the tension launching onto this next bit. 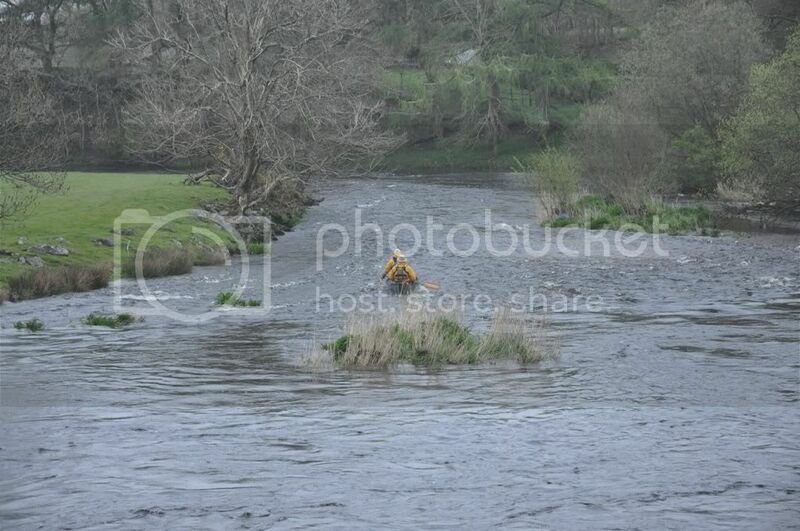 Although most would be straightforward there was an awkward rapid at Trevor and the two weirs at Erbistock and Overton. Tucked back behind us are a number of awkward stoppers and large waves. 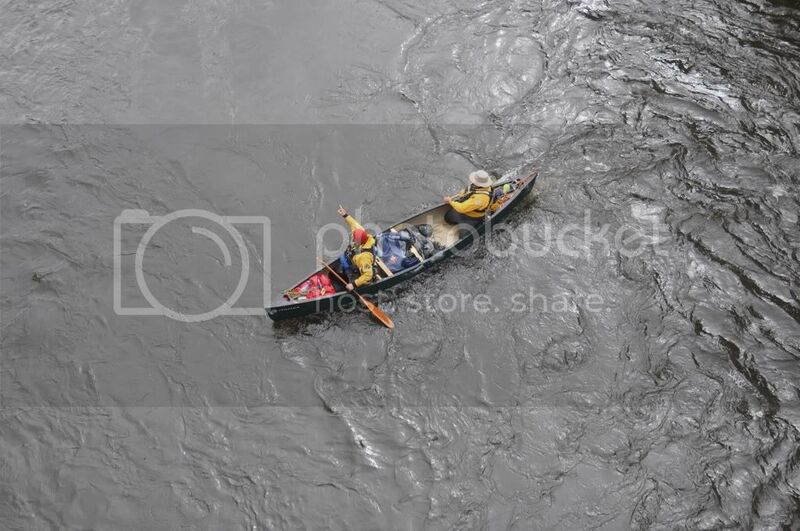 We took it on river right but had a brief misunderstanding. Chris wanted to accelerate left above a large pair of stopper and avoid them that way. I thought we were going right! 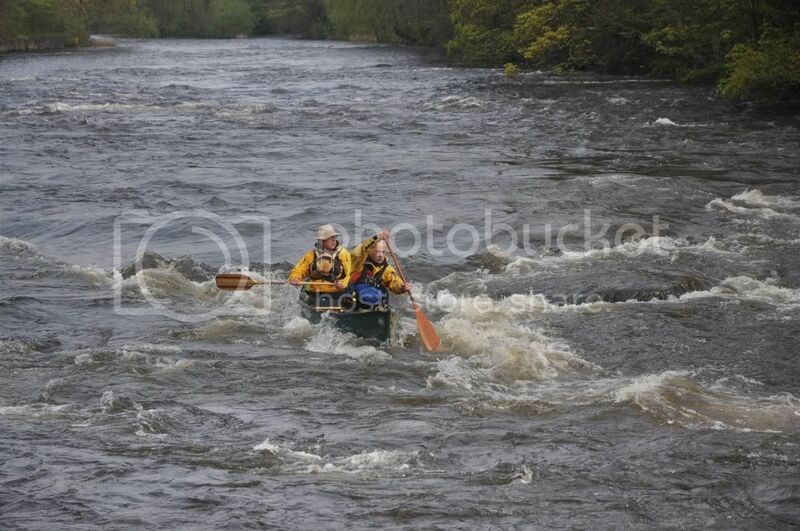 At the last moment we accelerated and took it through the right edge but took water an board. The photo gives no impression of the size of the waves on this one. 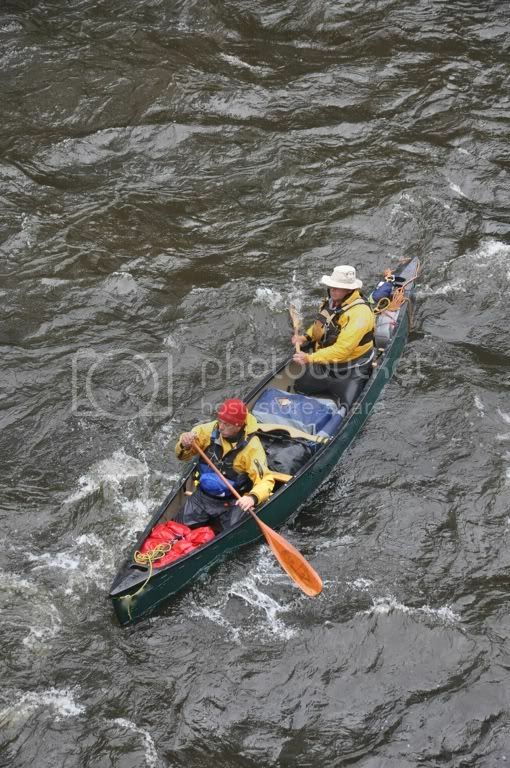 A fair bit of water was sloshing around in the boat which made it sluggish on the next moves and slightly less stable. We broke out below the bridge for another sort and food stop. This was mile 35 and half way in terms of distance. The Pontcysyllte aqueduct completed in 1805 and spanning our route. The weir above Erbistock. Lethal on river right in most water levels (there are exceptions). The river slows upstream of the weir and there is plenty of warning. We could have run it tight left but a quick bit of lining was dry and secure. 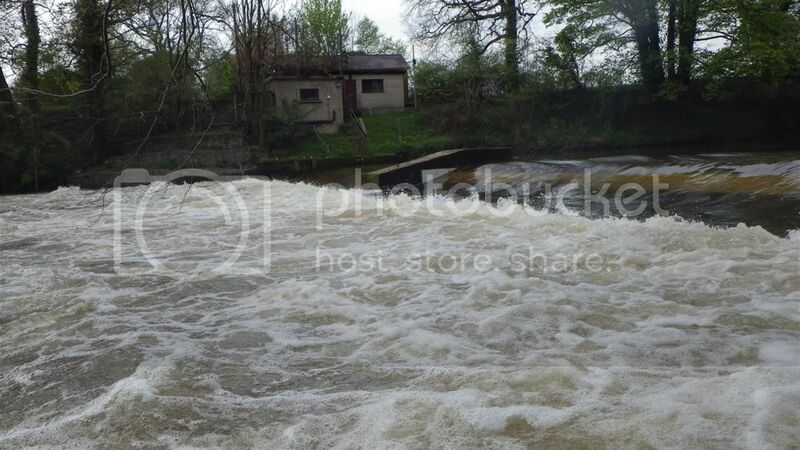 The eddy above the weir at Overton is on the right and tight on the top. 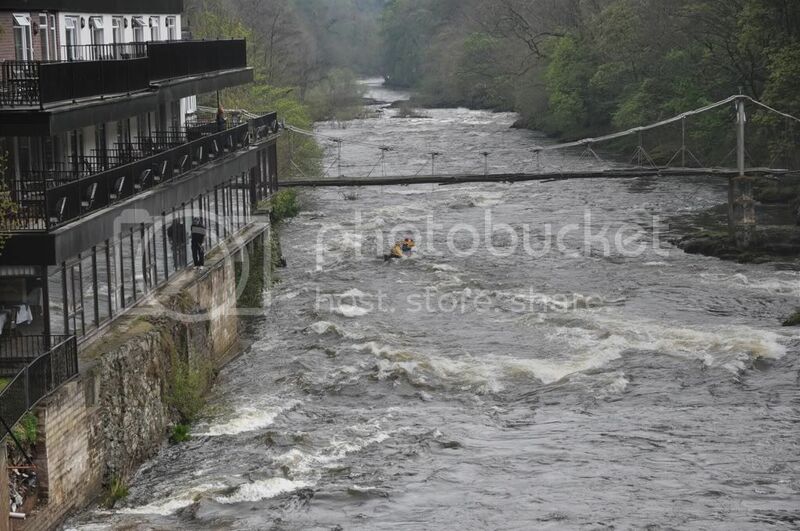 Unlike the previous weir there is no slowing of the water at this level and it comes on you with no real warning. A quick drag up the bank. It is runnable at this level close on the right bank but I have seen that line blocked by a tree jam at the bottom. 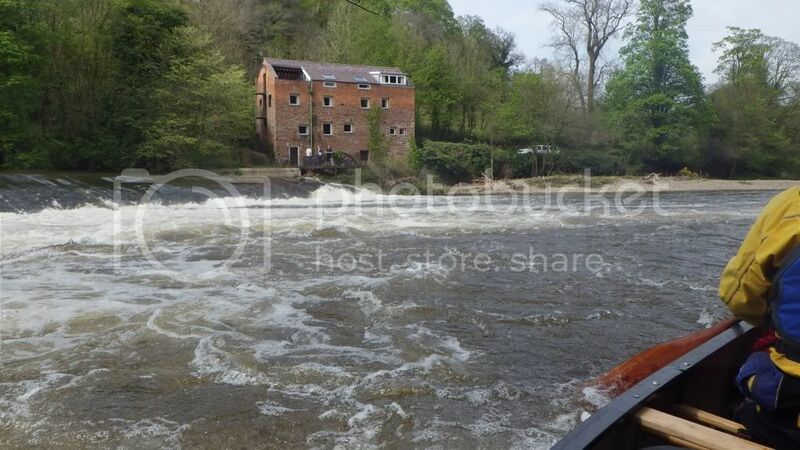 At lower levels the right hand side dries and boats can be portaged over the weir itself, lined or indeed run down a shoot. I have been here once in monstrous water and the weir gave me nightmares the following night. 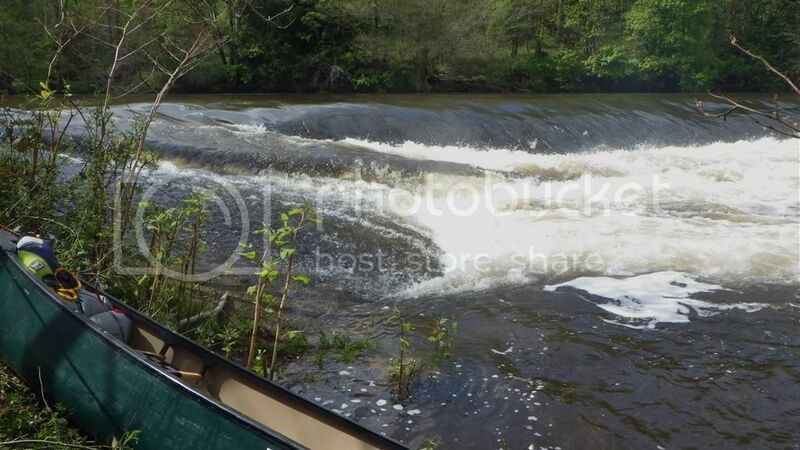 Once the weir was passed the technical problems were over. But this was the last of any reasonable speed from the current. 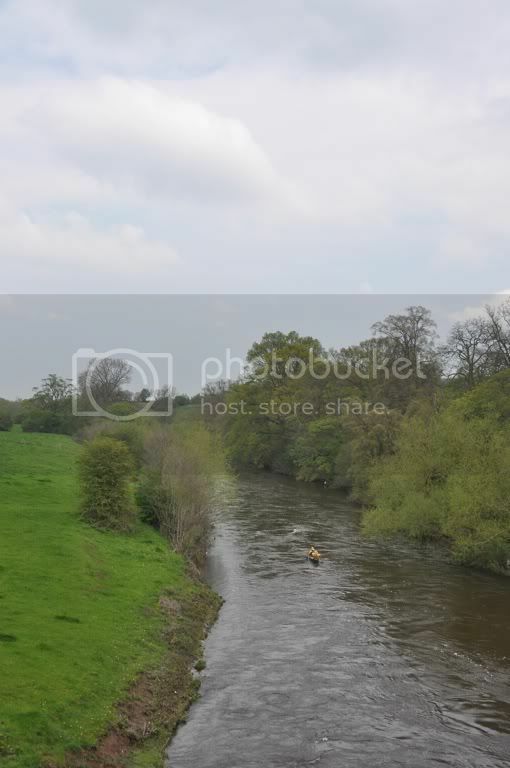 The Dee begins a slow meandering across the Cheshire plains. 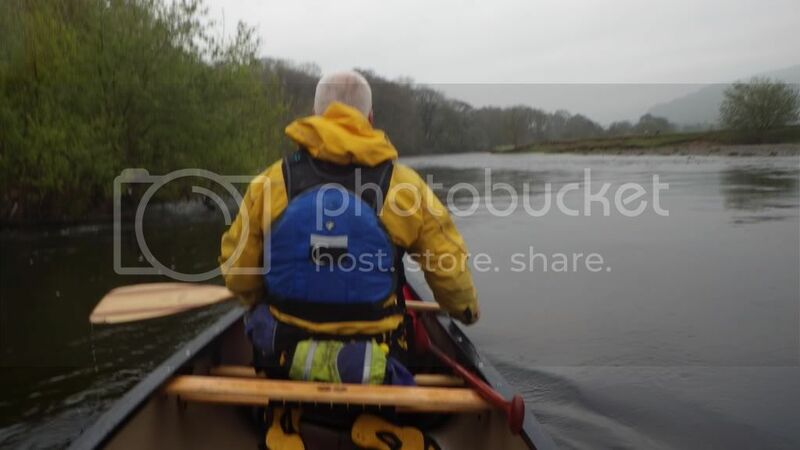 Both of us changed to bent shaft (elbow) paddles; Chris was using a Greyowl but I had my carbon Wenonah a real treat after paddling with a big stick through all the technical stuff. It was a case of settling into a rhythm for the next seven hours or so. Cruising with bent shaft paddles. 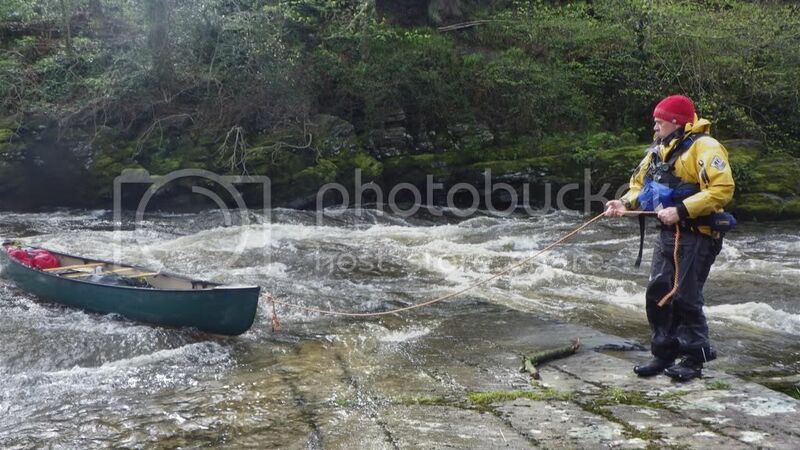 I never let Chris use my Wenonah in case it spoils him. It is quite unsettling just how much the river loops on itself and twenty minutes or more apart you get to see the same set of trees or farm but from a different angle. I just switch my mind off and paddle but I cannot resist asking Chris if its the same tree/building/set of pylons just to play with his mind (its good being mates). 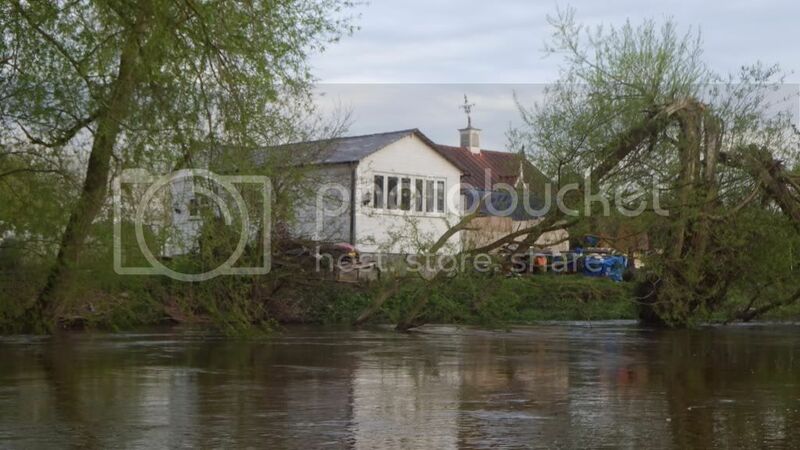 Below Fardon the river the is considered a navigation and the banks are lined with small shacks, sheds and jetties. The occasional headwind died completely as evening drew on. 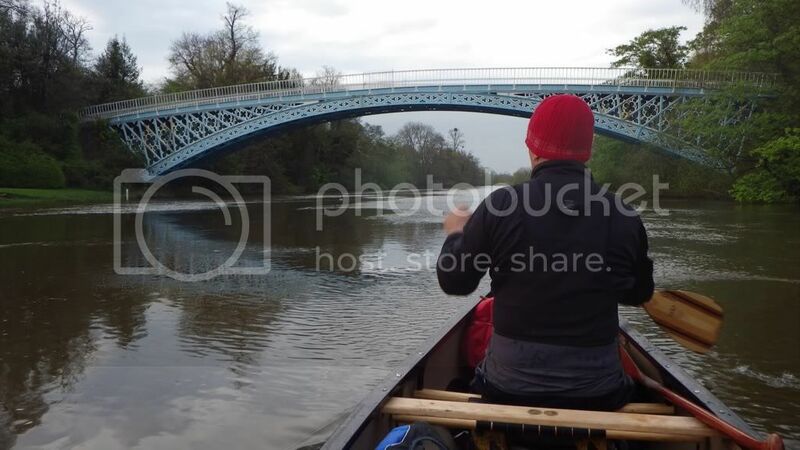 A private bridge on the Duke of Westminster's estate. We had seen sunrise now the day was ending. 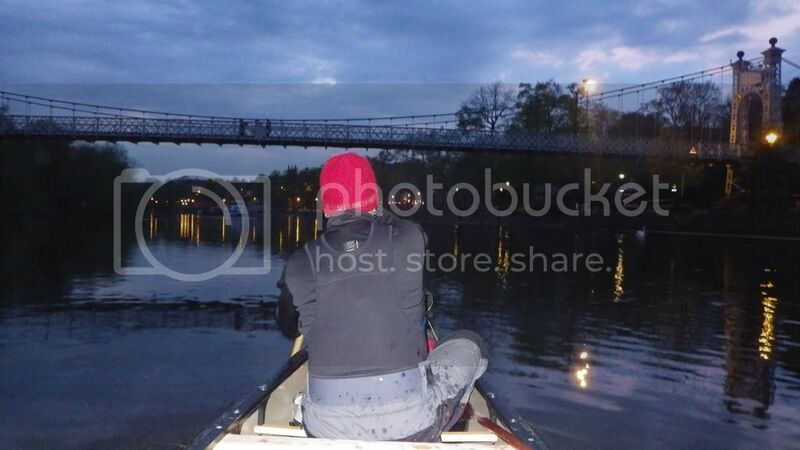 It was mirror calm as we paddled into Chester. John was waiting for us just above the weir. The water was now tidal. 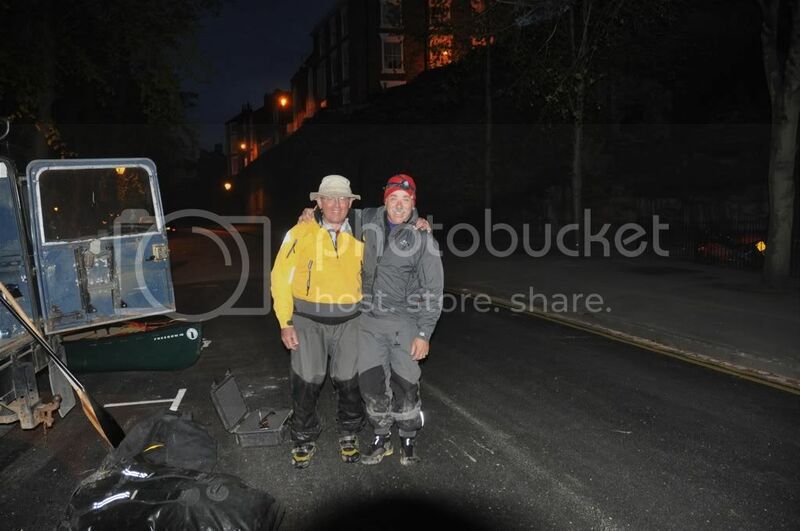 A final photo 9pm in Chester having paddled the seventy miles from Llyn Tegid. The companionship of a tandem pair! Mind we look a little bent. 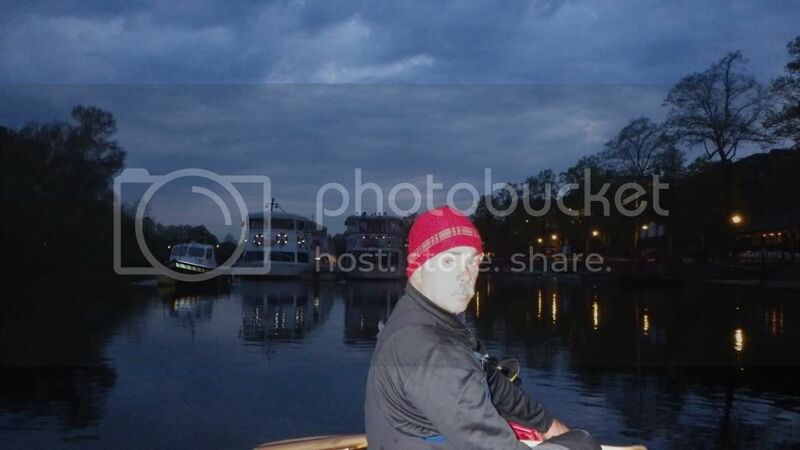 The trip took 16 hours on Wednesday 2nd May. What a fantastic trip to have been achieved in one day. Also credit to your bank team for providing pictures all the way down! That's a he'll of a trip in one day. Puts me to shame. Well done and great work also from the "support crew" too. Enjoyed this thanks. So, if the banks are "thick" with anglers, does that make a cllective group of them a "thicket " ?. Juvanile delinkwit, vaguely faffing around with a pair of pliers. Du skal ikke tro at du er bedre end mig! Thank you for an amazing post!! Fantastic trip, what a great read. So whats next? 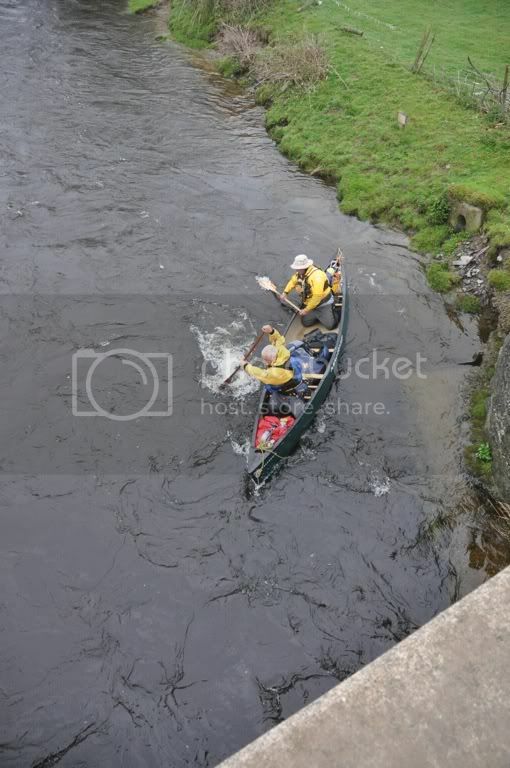 Excellent paddling, tandem in a straight boat ! When you finished, was that your D-Day landing? 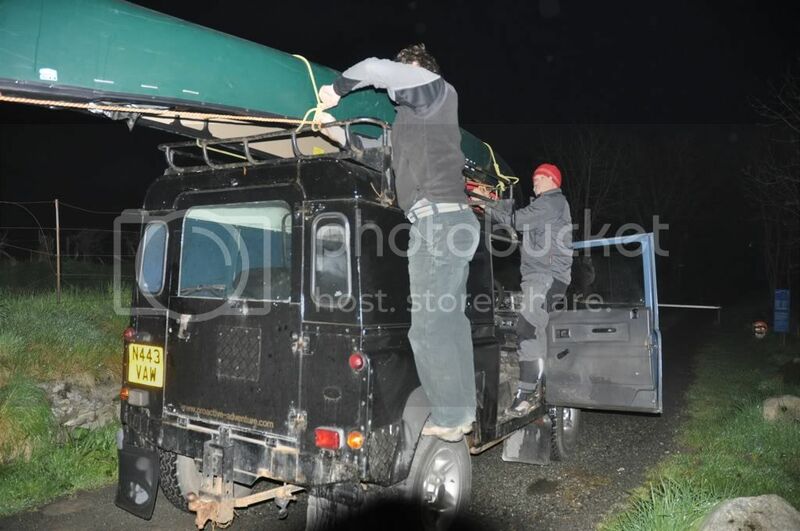 If we exiting the canoe on the Normandy beaches we would have been easy pickings. Ankles and legs were reluctant to work. Even on the water by the end, the sit and switch was a prolonged and tortured affair as we shifted cramped legs across the boat. Thanks for the great blogg. Source to sea (well tidal) in a day is pretty unique. EPIC! Is all that comes to mind, thanks for sharing the trip with us and for John's support role, a proper mate indeed. Crumbs... 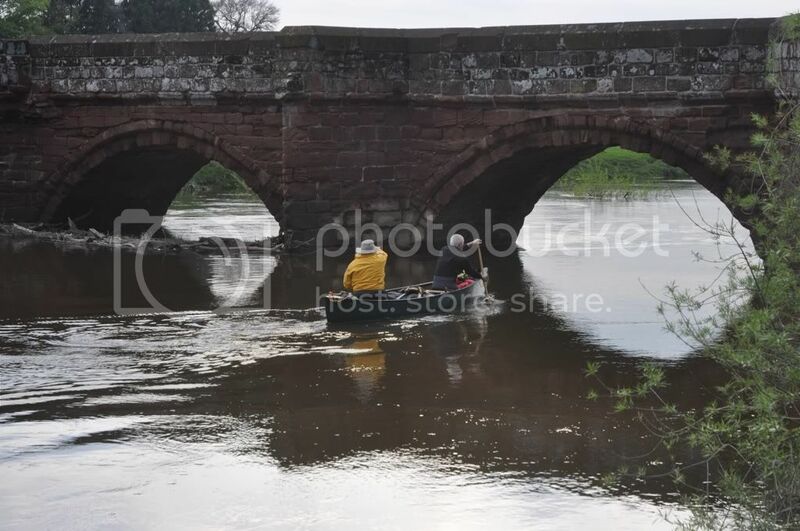 I feel tired just paddling from Farndon to Chester !! A great blogg, thanks for sharing. Thanks for sharing, thanks for inspiring, . . . and thanks for making me feel inadequate! Cracking blogg, thanks for sharing. Stunning blogg, thanks for sharing. Excellent blogg, one of my favourite parts of the world. I have a small pot in my kitchen that came from a very small pottery in Corwen, purchased on Honeymoon. Happy days. Great trip. Well Done but where was Dillie? Not bad for half a trip! What happened to starting in a stream on Arenig Fawr, across Llyn Celyn, down the Treweryn...? "What's so special about the cheesemakers?" Aaa, now that's a different trip that I have in mind. Not intending to do that in a day. You said it'd be nice to start from the hill behind your house and go to the sea... I suppose it wouldn't be the same now you've moved. 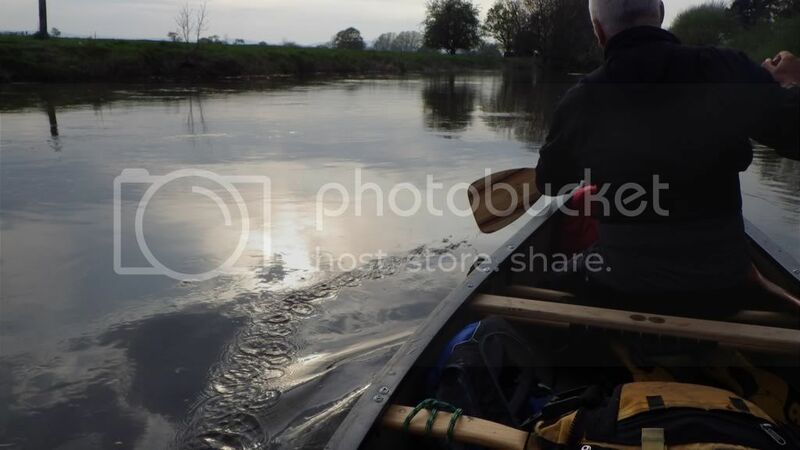 Thanks for sharing this with us, great photos and blogg of your trip> I think I might take on this challnege over two days and not one though. A great achievement to complete in one day. Great blogg of a great day on the water. I use the Black Lite Elbow Carbon. On my trip with the Wenonah folk in the Boundary Waters (The Blog is on the forum) we had both the Carbon and Pro paddles. I found the Pro just too stiff for my liking but others preferred them. So for me its the Carbon but it will also be what you get used to. Either way a real delight to cruise with. Years ago, I was sponsored with Nomad slalom kayak paddles and I had a complete choice of set up. They advised me to get one down from the stiffest shaft to ease the strain on tendon and muscle. I have got used to that tiny give over the years. Too much give and the paddle becomes inefficient. The Carbon Elbow does it for me. 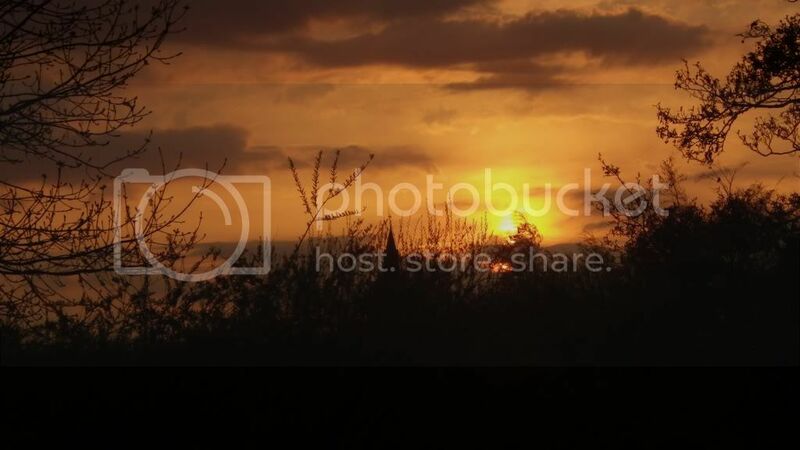 Last edited by RayGoodwin; 5th-May-2012 at 09:06 AM. I still intend to do that and finish at the sea but that will not be intended as a fast trip but one to savour over days. I'm going for lie down after reading the hard work blogg, excellent stuff though, thanks for posting! Thanks for the info Ray. Very nice trip and great Picts as well. This is brilliant - thanks. Well spotted. 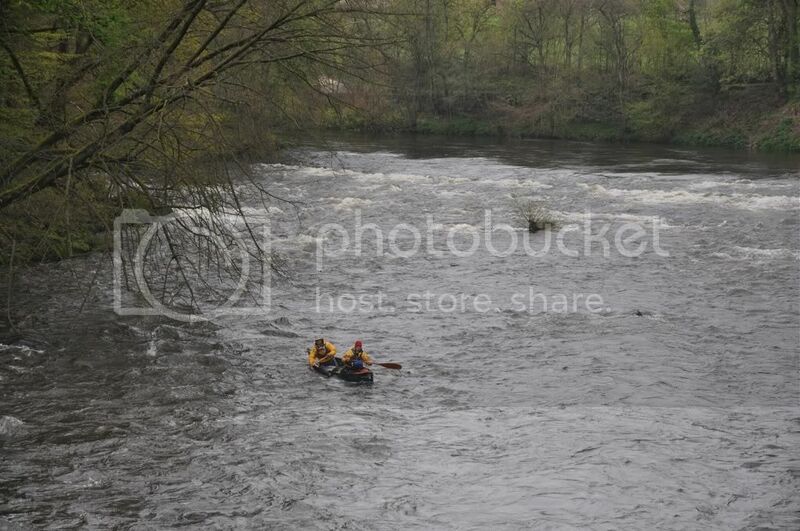 I am waiting on my Wenonah Rogue which would have been my boat of choice to handle the white water but it is still on the way from Minnesota. But no it's not an Explorer but one of the old Jim Henry designs The Freedom 16, that is no longer made by Mad River. In fact the loss of a couple of good designs in the Mad River range plus a lack of new stuff was part of my reason behind my move to Wenonah. The positive side of the move was there was so many boats I liked in the Wenonah catalogue plus there is still the commitment of it being a family business. I paddle either a 15' or 16' Prospector most working canoe days and an Aurora for tandem cruising (and it has a good turn of speed solo). I would have loved to use the Aurora on the flat sections as it is far faster. 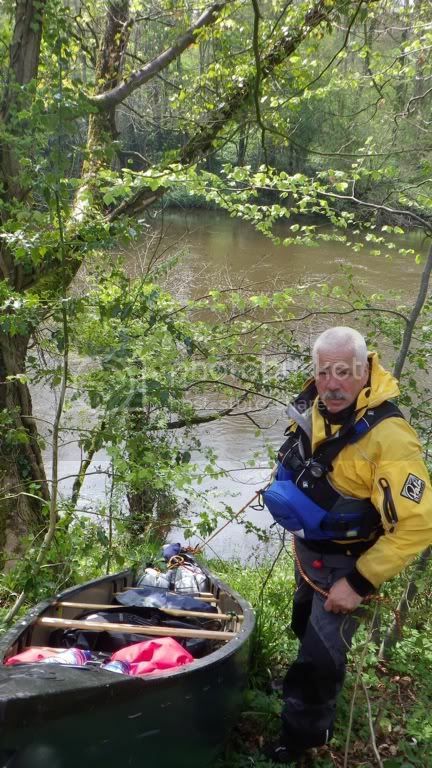 Although I use it a lot on white water a couple of the bigger rapids would have swamped it so we would have lined or portaged extra bits and time was of the essence. I have a couple more plans and the Rogue is very much part of those. So yep paddling We no nah boats except on this occasion. A great blog of what looks like a fantastic trip!! When I saw your Facebook posts early in the day, I was trying to work out how you'd average the speed on the last section to finish...the answer being good old hard work! Impressive stuff. Great trip. 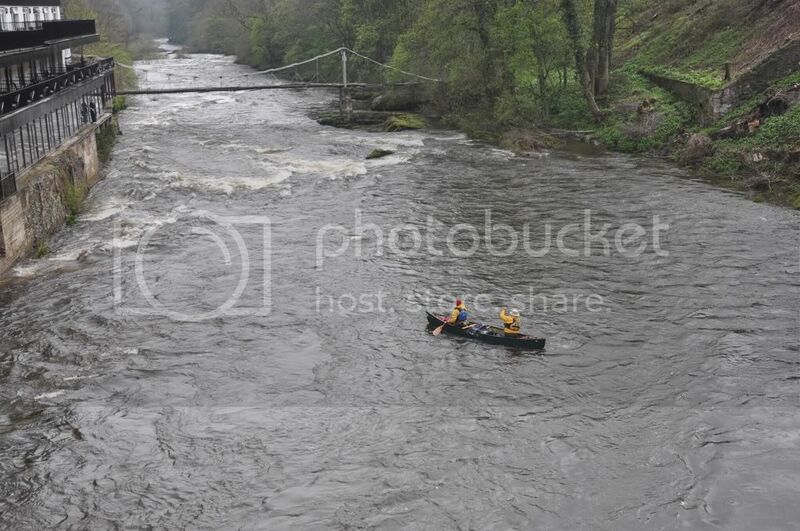 I was the bridge at Corwen today, does it get any faster than that? I'd really like to put this onto my to-do list. I'd need to learn a lot beforehand but it has inspired me. One for next year perhaps? Now funny you should mention that. I would really like to do this and it would be feasible but fairly brutal in low water. 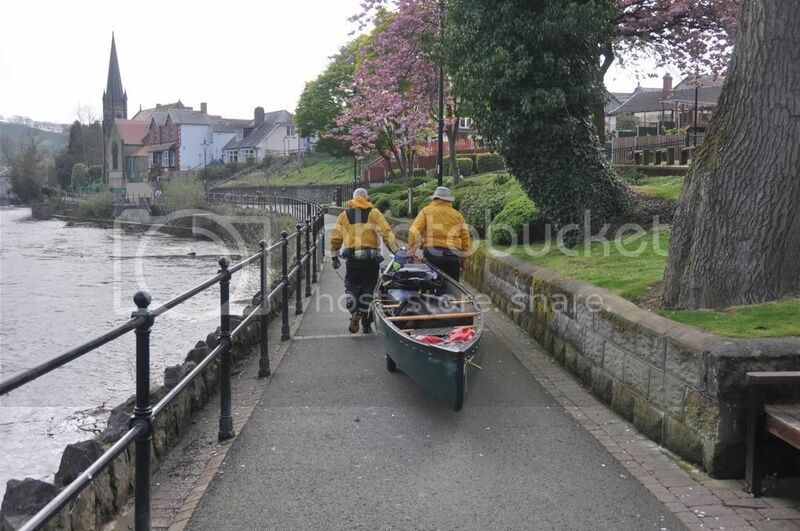 Rob Egelstaff and I did the first thirty miles of upstream travel from Chester on our 1982 circumnavigation of Wales. From that I would expect the whole ascent to take five or six days. I regularly pole, paddle and track up from Mile End Mill to above Serpent's Tail which although short is one of the more difficult sections. 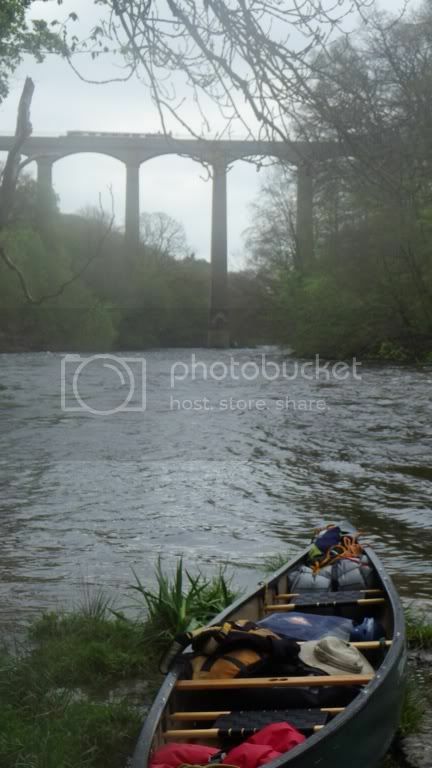 I doubt that I will ever attempt the full ascent as once upstream of Llangollen it would attract a lot a attention from the angling fraternity. In the other direction there is little they can do. That looked like great fun, I have so much to learn. Well done, lads. Cracking effort and a great blog too! 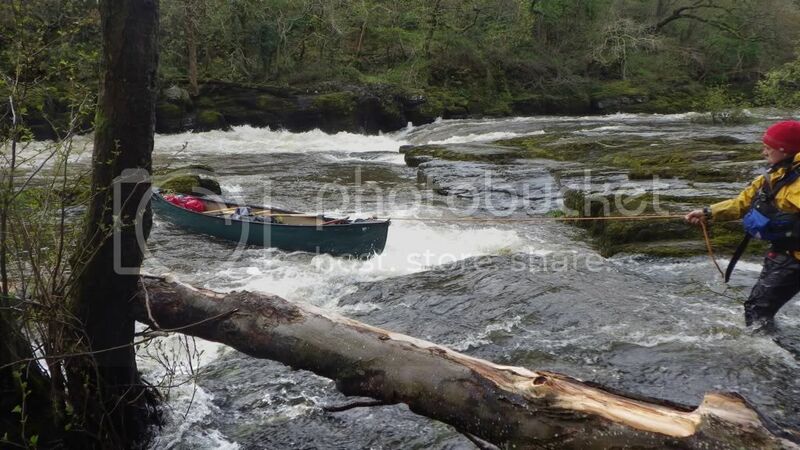 We usually do the very awkward portage river left at the weir above Erbistock so its good to see you lining down with apparent ease. Looks like a lovely river. And a cracking one to attempt in one day. Glad you finally got the chance. 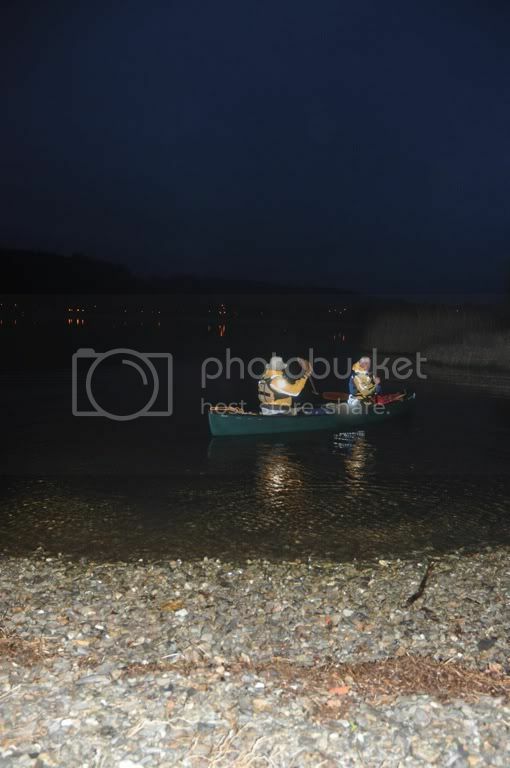 Are the fisher folk not keen on paddlers round there? Fantastic trip! Totally envious! Hearty Congratulations! WOW! Well done to the 3 of you. Bet you were sore the next day. Originality is unexplored territory. 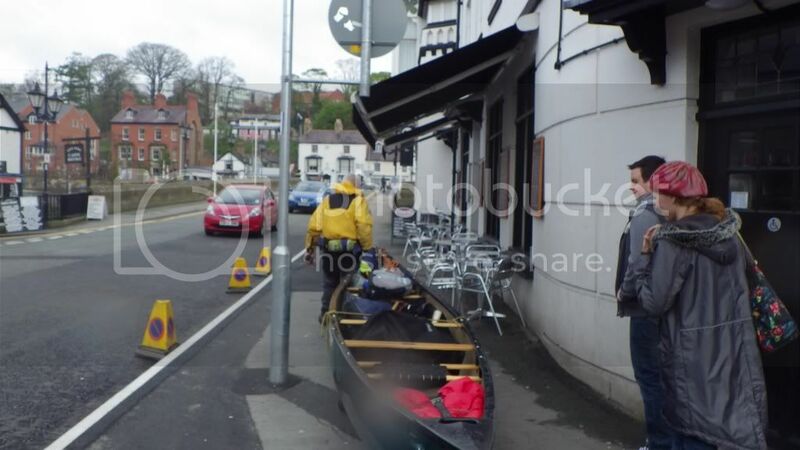 You get there by carrying a canoe - you can't take a taxi. Bet you were sore the next day. Nope, I was fine. 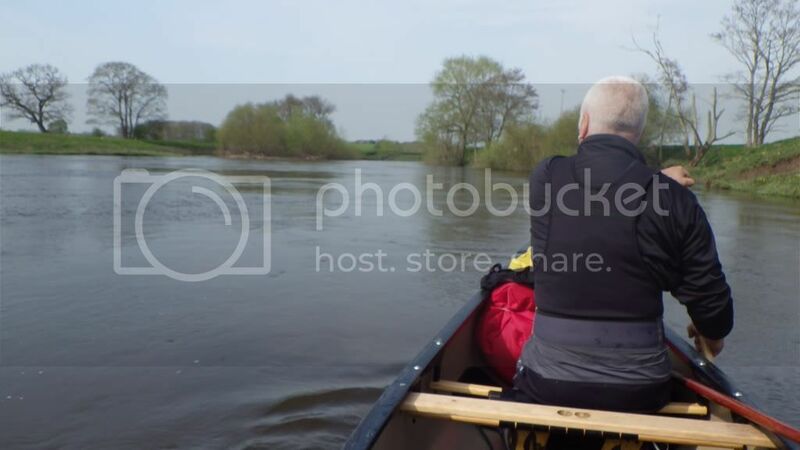 I spend a good proportion of my working life on the water and although that is not very hard it does keep a general paddle fitness. 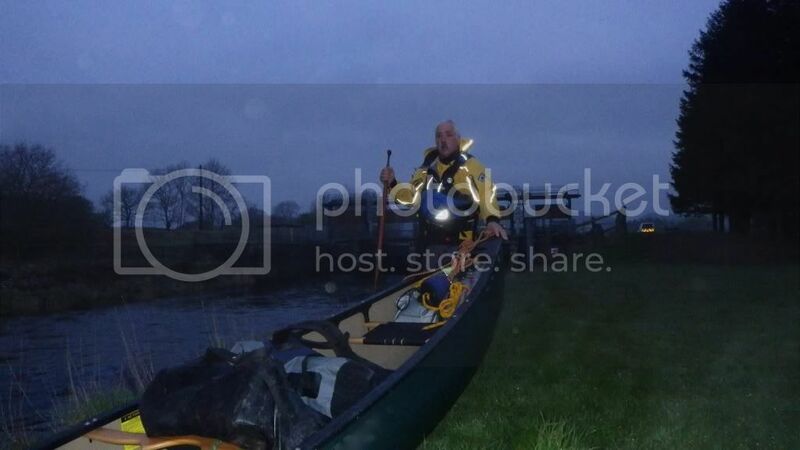 If there had been a head wind on the last seven hours of flat water paddling then it would have hurt. As it was we could just go into cruise mode. Now we are thinking about the DW....... I am under no illusions about that hurting. And thank you all for your kind comments.